If you have any queries we are always delighted to hear from you. Contact the Flexible Lining Products team via our online Contact Us form or call us on 01423 332136. Alternatively click the Live Chat button. Green-tech is pleased to announce it has recently secured the purchase of Flexible Lining Products Ltd. (FLP) the specialist online distributor of Terram, pond & lake liners, erosion control products and porous paving systems. The acquisition has been 12 weeks in planning, and includes all existing stock, distribution agreements, the comprehensive online presence, trademarks and a hand over period of 3 months between previous owner Nick Burger and the Green-tech team. The acquisition comes at a time when Green-tech’s owners, Richard and Rachel Kay are pushing forward to achieve their ambitious goals of expansion. 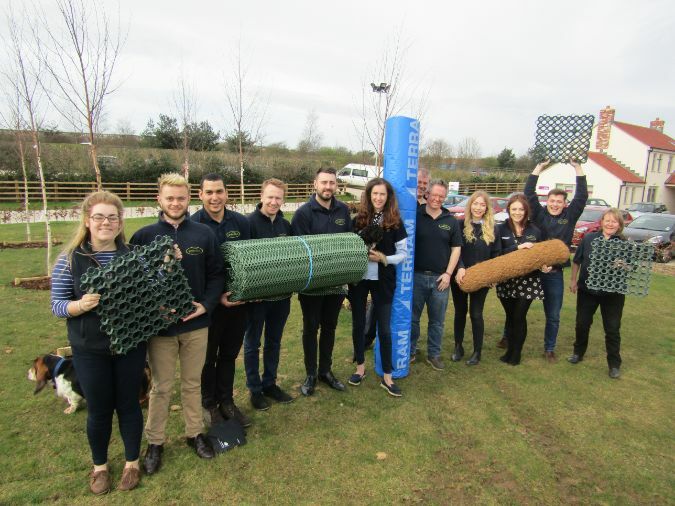 The business is seeing record year or year growth overall, particularly within its tree planting and Green-tree soil product sectors. The re-structure of the sales team last year has seen an increase in head count, plus Green-tech’s new home at Rabbit Hill Business Park is providing much needed additional warehouse space and improved links to the motorway network to support this recent acquisition. The product range offered by FLP is complimentary to the 6,000 product lines Green-tech currently stocks, equipping their loyal customer base with access to a broader scope of supplies for their projects. In true Green-tech style the team has welcomed the acquisition with their usual energy and gusto and are already formulating plans for rebranding, product expansion, a revamped website and a dedicated specification arm for FLP.